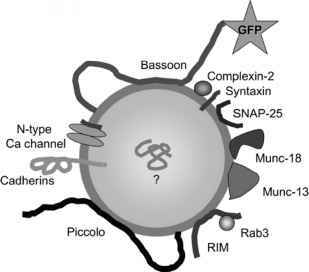 The data discussed in this chapter show that NCAM has "many faces" and is involved in many synaptic functions. Numerous in vitro, in situ, and in vivo studies have converged to demonstrate that 1) spatial and temporal patterns of NCAM and PSA expression is regulated by neuronal activity and animal experience; 2) learning and memory are affected by manipulation of NCAM and PSA; and 3) NCAM and PSA promote synaptogenesis and synaptic plasticity. The underlying mechanisms appear to be at least partially relevant to mechanisms underlying activity of NCAM during neurite outgrowth, which involve interaction with spectrin and signaling via the FGF receptor and fyn kinase. Currently, we know that spectrin is involved in stabilization of intracellular organelles during early synaptogenesis and that FGF receptors are required for synaptogenic activity of NCAM at later stages. However, the roles of FGF receptors, fyn kinase, and spectrin in NCAM-mediated synaptic plasticity have not yet been verified. Apart from these mechanisms, reported interactions between NCAM and glutamate receptors22 and a rescue of LTP deficits in NCAM-deficient mice by exogenous BDNF application20, suggest that new players may be specifically involved in the regulation of synaptic functions by NCAM, as compared to neuritogenesis.